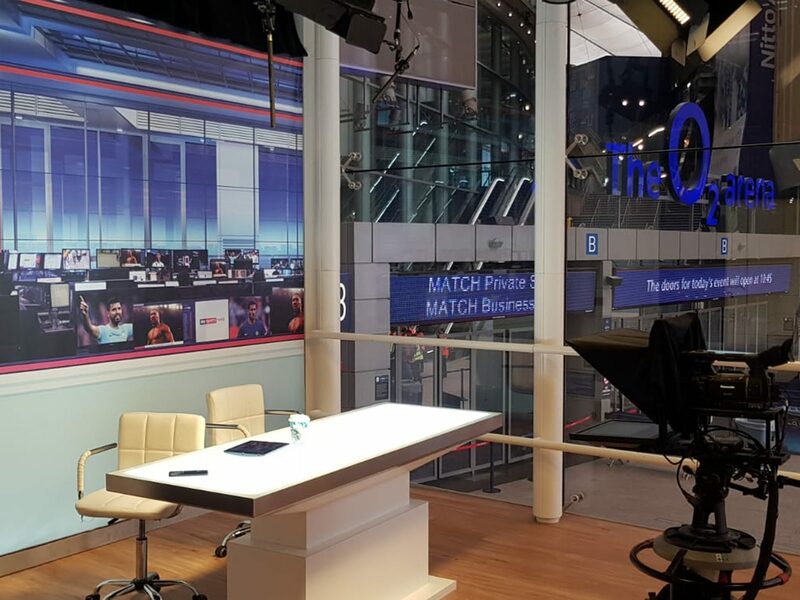 Perception Integrate designed and built the SKY Studios experience at the 02 in 2011. 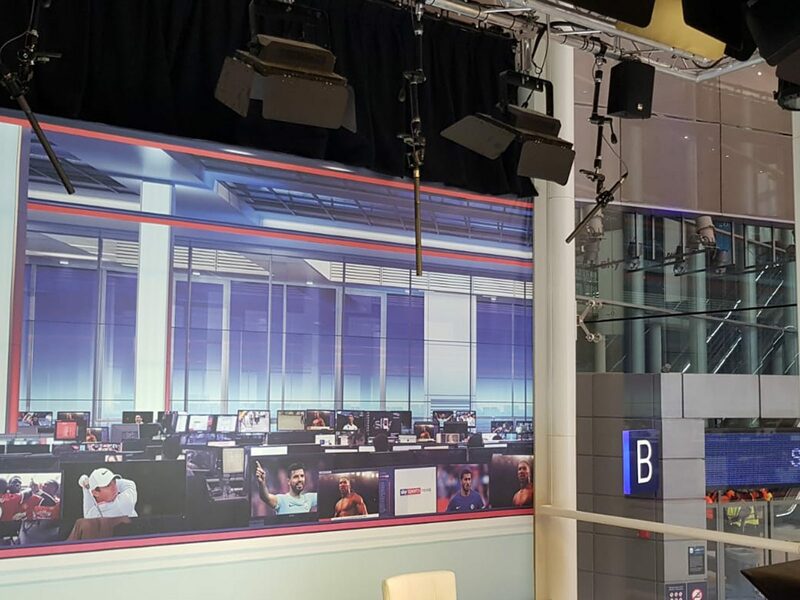 The studio has been serving the everyday public ever since by creating a unique opportunity to become a News Reader in a SKY Studio environment. The SKY Studios Experience is due for a complete refresh and the brief was to bring this well-loved 02 resident up to date, and ready for the upcoming years of high traffic use for children, students, adults that visit the 02 and want to experience this iconic brand. Renewed infrastructure & Day 1 hardware refresh. The infrastructure Brief was to accommodate for high and low-level broadcast quality cabling to allow for versatility in moving forward. This will allow for the studios to run high-level truss mount cameras and microphones or to present both attributes at a low level from a traditional tripod setup. The existing system has to remain in use, whilst this phased approach takes place as not to cause disruption to service. Document approval – confirmation to proceed. Procurement of broadcast quality cabling and connectors. Coordination of 1st fix with other services. Allocation of the engineering team with a dedicated project manager. After hours installation of cables and terminations as per system schematic. All cabling and terminations tested for continuity and labeled. All cable indents added to system design and submitted to SKY. The DAY 1 Brief was no only renew specific hardware, by relocating the existing desk-mounted microphones to the high-level truss, replacing the active truss mount audio sting relay speakers. The newly installed and newly positioned hardware still communicates to the original processing & communications hub, as to keep the studios operational. 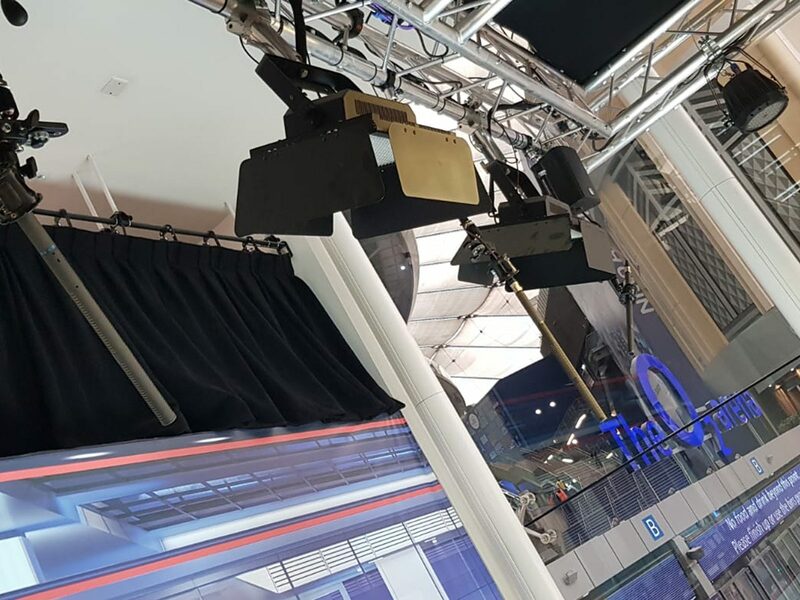 Plotting microphone locations onto truss above the SKY News Desk – evaluating pickup ranges. Installing the newly specified microphones onto Manfrotto adjustable microphone boom arms, positioned directly above the News Desk at 1.6m. Full audio testing and commissioning. Due to the tight schedule of works Perception Engineers had to coordinate efforts with other onsite services to enable a seamless flow of works. The 02 was staffed heavily by Perception during our installation windows and led by a strong project manager, as each member of the installation team was given precise duties to perform within an allotted time frame in order to complete necessary milestones before the beginning of each phase. The DAY1 works were completed, tested and commissioned with a half day to spare. The Client was extremely happy with the Day 1 work and did make reference to a well-oiled machine which can only be down to strong leadership and preparation. We are currently working on Day 2 and Day 3 works which will ensure the SKY Studios remains an impressive attribute at the 02 Arena in Greenwich.